We’re still sad that season one has ended, but while we wait patiently for season two, this lovely and inspirational This Is Us dance will probably make your day. If you recall the season, you might remember Kevin’s painting. Within the painting, he illustrated the concept of life to his nieces, along with the imprint that every person leaves behind. Heavy stuff. 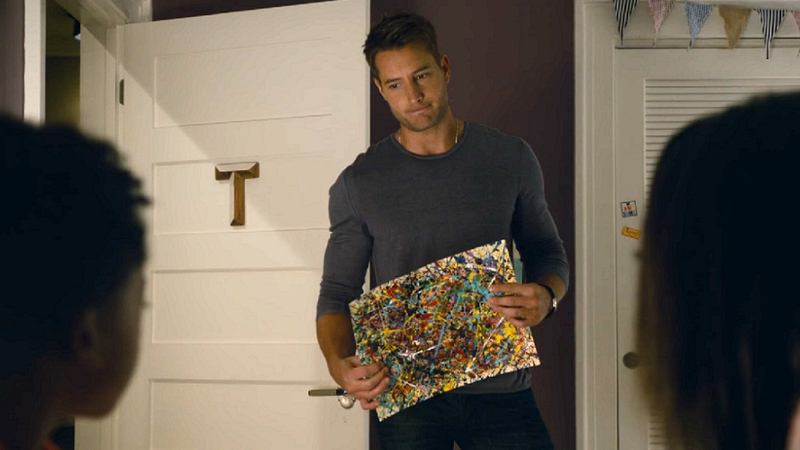 The character of Kevin, played by Justin Hartley, had a few revelations throughout the season — regarding both his relationship with his parents and his love life. The painting he did, however, was a way to express himself during his first big off-Broadway play. So, it’s fitting that a dance team, called 360 Dance, found a way to take these messages and put them back on a stage. As you can see, the group used audio of Hartley in the beginning of the dance. There’s no doubt about it — Hartley definitely inspired them. Here’s the scene one more time, just to refresh your memory. Hartley got a chance to meet with the group after hearing about the dance, and it’s obvious that he’s super supportive. The story behind why will make you shed a tear. This past December, the group lost a key member to brain cancer. While the group was trying to cope, this particular episode hit the air. Thanks to Kevin’s speech, a lot of the group members were able to heal. Thus, they wrote a letter to Hartley to thank him. We think the dance is an absolutely beautiful tribute, and another reason why This Is Us is such a powerful show.